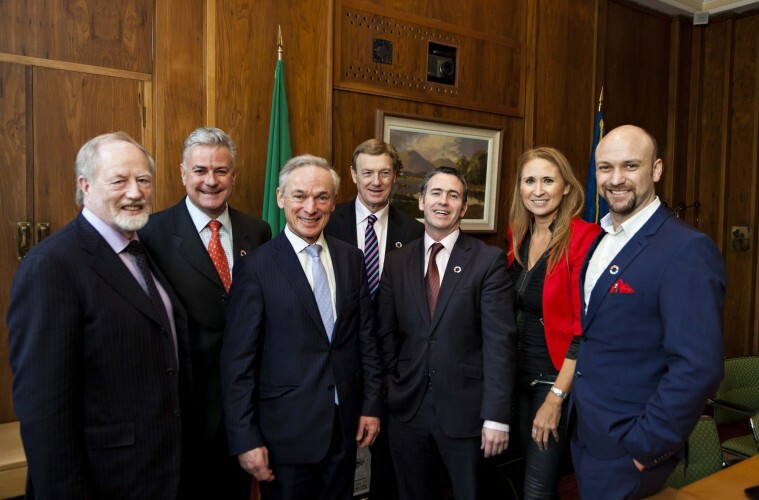 At the launch of Global Entrepreneurship Network (GEN) Ireland’s calendar of activities for 2016 yesterday, GEN Ireland announces it will bring 50 U.S., high-growth entrepreneurial leaders to Dublin for the Pipeline Global Innovators Summit, September 18-24, 2016. Pipeline is holding one of its programme master classes and modules with entrepreneurs in the Guinness Enterprise Centre as well as other locations throughout Dublin and Belfast, over a week of activities. It will offer 50 Irish high-growth startups and the 50 USA, Midwest Region high-growth startups the opportunity to network with these leading entrepreneurs to help them grow their businesses. The event is happening to foster strong relationships, share in knowledge and learn on the theme of globalising their businesses. Investors and mentors from Ireland and the US, including MIT, Kauffman Foundation, Microsoft and Woodland Venture Management, will engage with all 100 entrepreneurs as part of this learning process. In 2014 alone, Pipeline entrepreneurs grew their revenues by $179M and raised over $207M in capital. Each year, between 10 and 13 entrepreneurs are chosen through a rigorous application process to partake in the year-long business leadership programme that blends workshop modules, mentoring from experts and relationship development with previous Pipeline participants. The announcement was made at the launch of GEN Ireland’s calendar of 2016 activities, which took place in the Guinness Enterprise Centre yesterday. It joins GEN Global, a 160 country network of similar initiatives worldwide aimed at creating one global entrepreneurial ecosystem. In total, GEN Global works with 10 million people and has 25,000 partnerships worldwide. GEN’s main focus is to connect startups, entrepreneurs, policymakers, researchers, educators, investors and government leaders and members through networking events, mentoring sessions, competitions and knowledge-sharing initiatives.